The 2020 Porsche Cayenne has been announced, but it is not yet available for purchase. 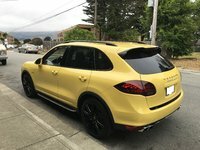 Start a new Porsche Cayenne question. 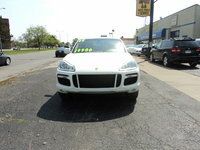 Thinking of buying an older Porsche Cayenne S with 94K miles. Are there any issues with these vehicles? 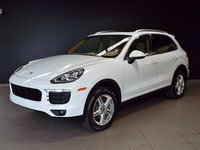 Want To Buy A 2016 Cayanne, Any Known Issues? 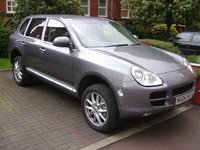 Introduced in 2002 as a 2003 model, the Porsche Cayenne sport utility vehicle was developed in conjunction with Volkswagen, and shares the same platform with the VW Touareg SUV. 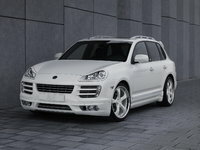 However, the exterior of the Cayenne is distinctively a Porsche, as are its responsive handling, impressive power (including Porsche's first V8 engine as well as turbocharged models), and the sort of upscale interior amenities drivers have come to expect from the venerable German automaker. 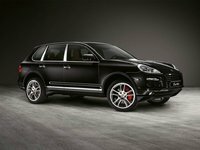 Porsche demonstrated its committment to the sporty SUV by introducing the Cayenne in both a base version, with a 340-horsepower V8, and a Turbo trim package with a turbocharged version of the same V8 engine. The result was an upscale package with a solid 450 horses under the hood. 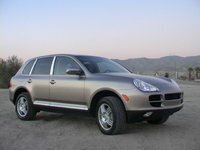 The four-door, five-passenger SUV featured seating for five and Porsche's all-wheel-drive system. The vehicle also was available with an active suspension system and Porsche's Tiptronic automatic transmission, which included a gate that enabled drivers to shift manually, depending on driving conditions. 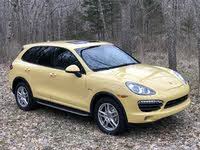 For 2006, Porsche expanded the Cayenne line by adding an S Titanium Edition as well as a top-of-the-line Turbo S trim package, with a turbocharged 4.5-liter V8 engine that produced a whopping 520 horsepower. 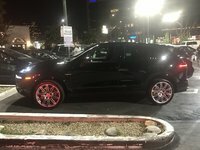 Off-road, the 2006 Cayenne offered an 8.5-inch ground clearance with the steel suspension and air suspension at normal level, and a 10.7-inch ground clearance on models equipped with the air-suspension system at off-road ride height. 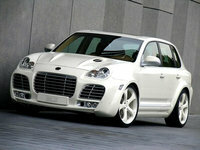 In anticipation of a redesign in 2008, Porsche did not produce the Cayenne for 2007, although some 2006 models remained on sale into the following model year. Recently unveiled at the 2007 North American International Auto Show in Detroit, the 2008 Cayenne will again be available in base Cayenne, Cayenne S, and Cayenne Turbo trim packages. Design changes include a sleeker front end with more angular headlights that, while a departure from the past, still maintain the organic elements of a Porsche. More powerful direct-injection engines are also on tap for 2008.